The Ronald V. Keech, M.D., Professorship in Ophthalmic Genetics pays tribute to one of pediatric ophthalmology’s most committed leaders, educators, scientists, and researchers. It was made possible by a generous gift from John and Marcia Carver of Rapids City, Illinois. Ronald V. Keech graduated Phi Beta Kappa from Occidental College in Los Angeles in 1970 and from the University of California School of Medicine in San Francisco in 1974. After a surgical internship, he trained as a resident in ophthalmology at the University of Southern California. He came to University of Iowa Hospitals and Clinics in 1978 as a fellow in pediatric ophthalmology. Following six years in private practice in Portland, Oregon, Ron and his family moved back to Iowa where he joined the UI medical faculty in 1985. In 1990, he was made an associate professor and in 1995 was promoted to full professor. He then took over duties as service director of Pediatric Ophthalmology after Dr. Bill Scott’s retirement. From 2001 until his death in 2007, Dr. Keech held the William E. Scott Chair for Education in Pediatric Ophthalmology. Other acknowledgments of his many contributions to his field included the American Association for Pediatric Ophthalmology and Strabismus Honor Award in 1995, the American Academy of Ophthalmology Honor Award in 1996, The Best Doctors in America designation from 1996 through 2007, and the American Association for Pediatric Ophthalmology and Strabismus Senior Honor Award in 2004. 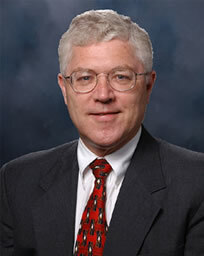 In addition to publications, including the Duane’s Clinical Ophthalmology chapter on adjustable suture strabismus surgery, he served on the editorial board of the Journal of AAPOS; as a manuscript reviewer for the American Journal of Ophthalmology, the British Journal of Ophthalmology, and Ophthalmology; and chairman of the American Association for Pediatric Ophthalmology and Strabismus Program Committee. Dr. Keech’s primary areas of research interest included eye movement disorders, pediatric cataracts, pediatric aphakic glaucoma, amblyopia and amblyopia treatment, neurologic implications of acquired esotropia, and the genetic basis of strabismus. In his 22 years while a faculty member at Iowa, he received federal and National Institutes of Health College of Medicine Grants, presented 127 invited lectures, conference presentations, and visiting professorships, and published 20 book chapters and 55 peer-reviewed papers.